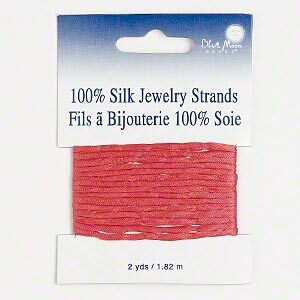 Cord, Blue Moon Beads®, silk, coral, 3mm wide. Sold per pkg of 2 yards. Necklace cord, silicone / velveteen / stainless steel, maroon, 3mm wide, 18 inches with snap closure. Sold per pkg of 2. Ribbon, silk, dark green, 1/2 inch crinkled. Sold per pkg of 34 inches. 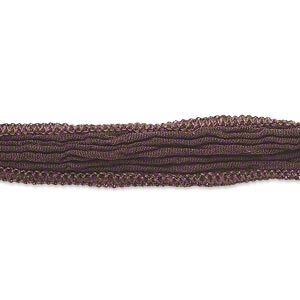 Ribbon, silk, brown, 1/2 inch crinkled. Sold per pkg of 34 inches. 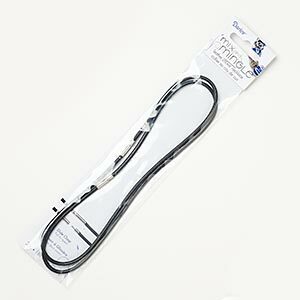 Necklace cord, silicone / velveteen / stainless steel, black, 3mm wide, 18 inches with snap closure. Sold per pkg of 2. 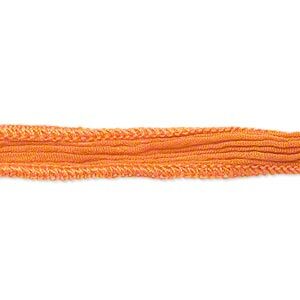 Ribbon, silk, orange, 1/2 inch crinkled. Sold per pkg of 34 inches. 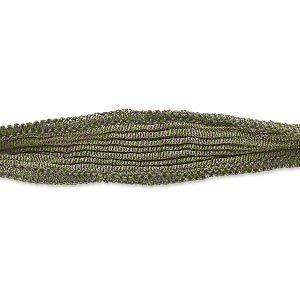 Necklace cord, silicone / velveteen / stainless steel, grey, 3mm wide, 18 inches with snap closure. Sold per pkg of 2. 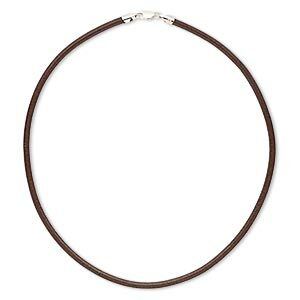 Necklace cord, silicone / velveteen / stainless steel, brown, 3mm wide, 18 inches with snap closure. Sold per pkg of 2. Necklace cord, leather (dyed) and sterling silver, brown, 4mm wide, 18 inches with lobster claw clasp. Sold individually. 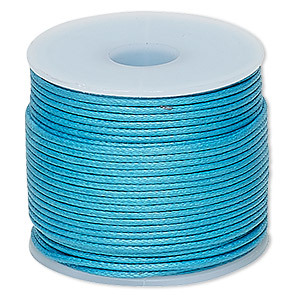 Cord, waxed cotton, cyan blue, 1mm. Sold per 25-meter spool.